INSTANT EQUITY! JUST REDUCED. BEST OF ALL WORLDS! Whitewater Creek Country Club, south side ONLY Gated Community w/24 hr security, Award Winning Schools! 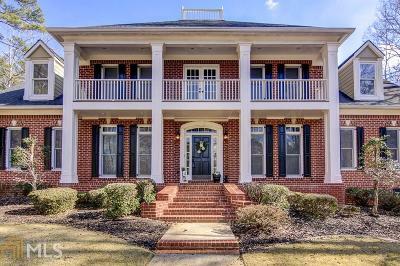 This gorgeous 3 sided brick, master on main, 3 car garage, cul-de-sac, PRIVATE &TRANQUIL setting, wooded and fenced lot. Gorgeous two story family room w/fireplace. Windows ALL across the back of the house looking over HEATED salt water pool w/hot tub. Luxurious master on main w/sitting room that opens to back yard. MB is spectacular. Open kitchen w/new ss appliances huge PANTRIES , BUTLERS BAR, Office w/ french doors, living room and dining room. TWO sided stairs to second floor, nice big bedrooms and closets. HUGE bedroom/theatre room w/own access and stairs off mud room. JUST PAINTED INTERIOR!